The former "Fixer Uppers" are heading back to TV with a new show of their own — on a new network of their own. 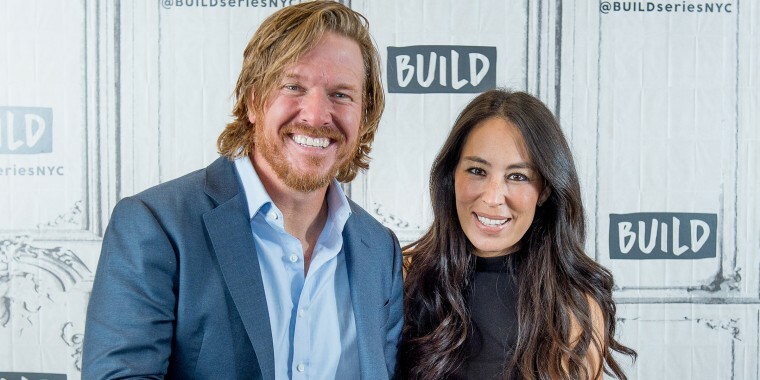 It's been a year since the series that made Chip and Joanna Gaines household names aired its final episode, but there's good news for "Fixer Upper" fans: The Magnolia duo will be back on the small screen with a new series next year. When the home-improvement gurus launch their network in the summer of 2020, they'll showcase an array of lifestyle, wellness and design shows, as well as reruns of their original HGTV hit. That lineup is set to include a show of their own that will tell "a more holistic story" than their previous TV endeavor. "The difference moving forward is Jo and I are going to be able to tell more of our life stories," Chip, 44, revealed in an interview with USA TODAY. "And so, as opposed to it being a very narrow vein in our universe, which is obviously construction and design and the things we do for a living, for us we feel like there’s a more holistic story to be told here, and that’s what we’re going to focus on." Their network, which will replace Discovery's current DIY Network, will also feature content selected by the couple. As they announced Wednesday, it will all be part of a "multi-platform media company" that will include a streaming app and more. "We loved this idea of connecting with people in a different way, telling other people's stories, curating content," Joanna, 40, told the publication. "It felt to us a lot like what we do love with the magazine, but on a different playing field." Their new venture will be in addition to their many other endeavors, including their restaurant, magazine, branded products, and books. Almost all of those projects, to some degree, involve more than just Chip and Joanna. Their children often play a role in them, as they did on "Fixer Upper." But will the younger Gaines — Drake, 14, Ella, 12, Duke, 9, Emmie, 9, and Crew, 9 months — play as much of a role on their new series or any of the shows on the network-to-be? That remains to be determined — by the children themselves. "We talked about this together," Joanna told USA TODAY. "The kids are very aware of what this is and why we’re doing it. If the kids want to be on it, they’ll be on it. They’re just all getting to this beautiful age where they’re starting to figure out what they love, what they’re passionate about. When they were younger, when we were doing 'Fixer,' it was natural for them to be on my hip. As they got older, we just never wanted to force the scene, we always told our kids, 'If you want to be part of this, we’ll put a mic on you.' If the kids want to do it, we would gladly welcome it, but we’ll leave it up to them." But whether on-screen or behind the scenes, it seems likely they'll be involved. "They’ve got show ideas!" she raved.